Does your hair ever feel dry or crunchy to the touch? 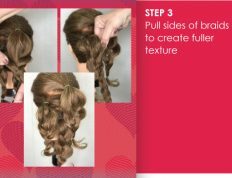 Kick straw-like strands to the curb by giving your ends the hydration they need. By using a deep conditioning hair mask you can help reverse the signs of dryness and leave your hair feeling soft. Pureology’s Hydrate Superfood Treatment Mask is a moisturizing hair mask for dry hair that is created with essential nutrients such as Avocado Oil and Coconut Oil to moisturize and soften hair so every day can be a good hair day. Redken’s All Soft Deep Conditioning Mega Mask has the power of the RCT Protein Complex to restore softness, shine and suppleness. Got split ends? We’ve all been there. Often, these uneven ends can be a sign that your hair is a little weak or even damaged. To give your hair the TLC it needs, use a strengthening hair mask. Pureology’s Strength Cure Superfood Treatment Mask is packed with essential nutrients, such as Goji Berry Extract and Olive Oil, to strengthen hair and protect from further damage. Your hair will be strong enough to handle whatever you throw its way. Redken’s Extreme Strengthening Mega Hair Mask is a dual chamber mega mask intended to provide deep, intense conditioning that has the power of the RCT Protein Complex to make your hair stronger. Coloring your hair can take a toll on your tresses. Repair the damage and protect your color vibrancy with these masks specifically for color treated hair. Pureology’s Strength Cure Restorative Hair Mask for color-treated hair intensely fortifies and reduces breakage to help prevent brittle, broken hair and restore luster, while the soothing blend of lavender, honey, peach and vanilla consume the senses. Redken’s Color Extend Magnetics Mega Mask is a two in one hair mask that is both a treatment + care extender designed specifically for the color care of your color-treated hair. Curly girls – if you haven’t fully embraced the coconut oil bandwagon, it’s time to hop aboard. Coconut oil hair masks like the Pureology Curl Complete Moisture Melt Masque are amazing for deep conditioning your curls as well as adding definition and bounce to your hair. The coconut oil in the hair mask works to re-substance the hair fiber and resurface the stress points of your curls. 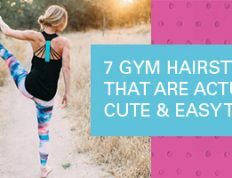 Unruly, frizz-prone hair? 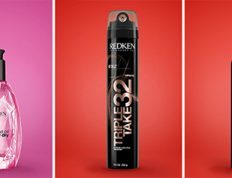 Redken’s Frizz Dismiss Mask Intensive Rinse-Out Treatment is an intensive anti-humidity hair smoothing rinse-out mask treatment that provides humidity protection and smoothing for more manageable hair. Looking for a hair mask that can do it all? Meet the Pureology Colour Fanatic Instant Deep-Conditioning Mask. This rich treatment smooths frizz, repairs damage and restores lost moisture while also delivering 21 essential benefits to color-treated hair. It’s a must for anyone looking for a one-stop-shop hair treatment. 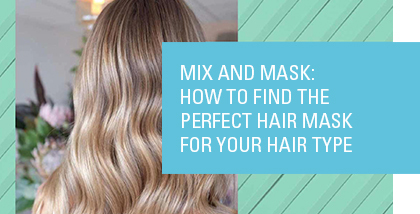 Still unsure which hair mask is right for you? 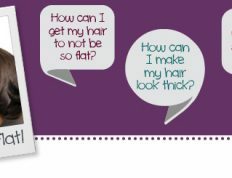 Our stylists at Salon Lucid can help you and your hair out. Being a blonde bombshell isn’t always easy. 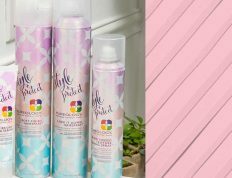 Most blondes need products that help protect hair color while also repairing and protecting fragile ends. Pureology Perfect 4 Platinum Reconstruct Repair Masque will help to nourish and strengthen your blonde, color-treated hair and boasts the signature aromatherapy blend of pear, peony and vanilla. With an exclusive Kera-Bright System with kerabond, violet leaf extract and lactic acid, Redken’s Blonde Idol Mask helps replenish smoothness and amplify shine so blonde hair is polished with renewed softness.